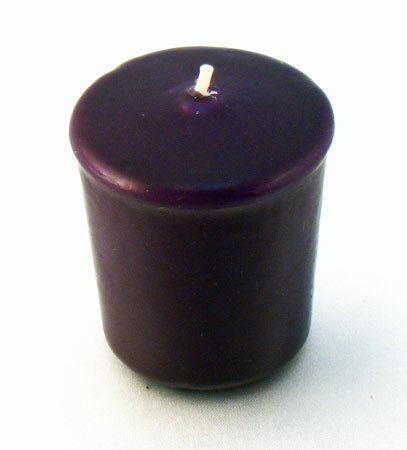 Use these dark purple votives with a white background to make the color really pop. 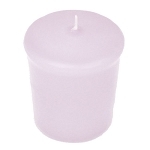 Use these dark purple votives with a white background to make the color really pop. With a 15 hr burn life, they are sure to last as long as the party! 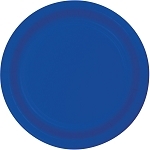 I ordered these candles in a royal blue and a purple for my wedding in August. I had orginally found them on the Yummi website but they only sold them by the case which wouldn't work out for how many I needed. I kept googling and found this site where you could buy them individually(also cheaper) so I ordered them, expecting them to take awhile to get here but to my surprise there were here in a few days. 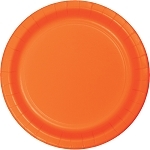 They are great quality and the colors match the online pictures exactly. The only downfall is that they have a very strong plastic like smell which was significantly reduced when I left the boxes sitting open for a few days. We ordered these last minute (8 days!) my sister's wedding shower. They were there in 3 business days. I was VERY impressed with the quick shipping. As for the candles themselves, they were exactly as pictured: a beautiful dark purple to perfectly match the "eggplant" that she has as her color. Wonderful product and amazing customer service. Thank you! 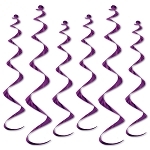 Q: When these unscented deep purple candles burn, is the inside white? Are they really a deep purple? What side votive holder would I need and do you sell the holders? 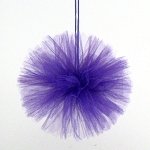 A: Yes, these are color-dipped candles, so they are deep purple (as pictured) on the outside and white on the inside. These are 15-hour votive candles and work best in holders 2-5/8" tall x 1-7/8" diameter at base and 2-1/8" diameter at top, which is the size we sell on our site. 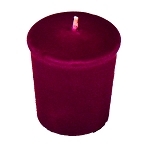 Q: I have votive 2.5 in height and I'm wondering if you have the dark purple candles a little smaller, or do you think this is a good size for the votive? 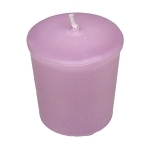 A: We only sell the purple candle in the 15-hour size; smaller sizes will have shorter burn times, typically 10-hours or less. 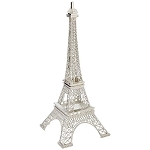 This candle is 2" tall and fine for a 2.5" votive candle holder. Also, the candle flares out to 1-7/8" wide at the top, so the votive candle holder should be, at least, 2" wide.